it perplexes me that I cannot get refills. I certainly would not keep buying personalized note pads just to keep the size. DISAPPOINTING. The Jotter pads are actually smaller than listed - 5 3/8" instead of 6", and a bit smaller than listed in width as well. This is a critical discrepancy if you are buying replacement pads. In addition, Walter Drake used to have these same pads that were approximately 6" x 8", and they also called those Jotter Pads, so make sure you know that these are the smaller size pads before ordering. Other than the size, the pads are just okay. The covers are much more plastic-looking and feeling than the larger size that I already owned. I would not buy these again. does it has a calendar? BEST ANSWER: Thank you for your question. No, it does not have a calendar, it has 50 lined sheets inside. We hope this information will be of help to you. It does not have a calendar. But it is very convenient and not bulky in purse. BEST ANSWER: Thank you for your question. 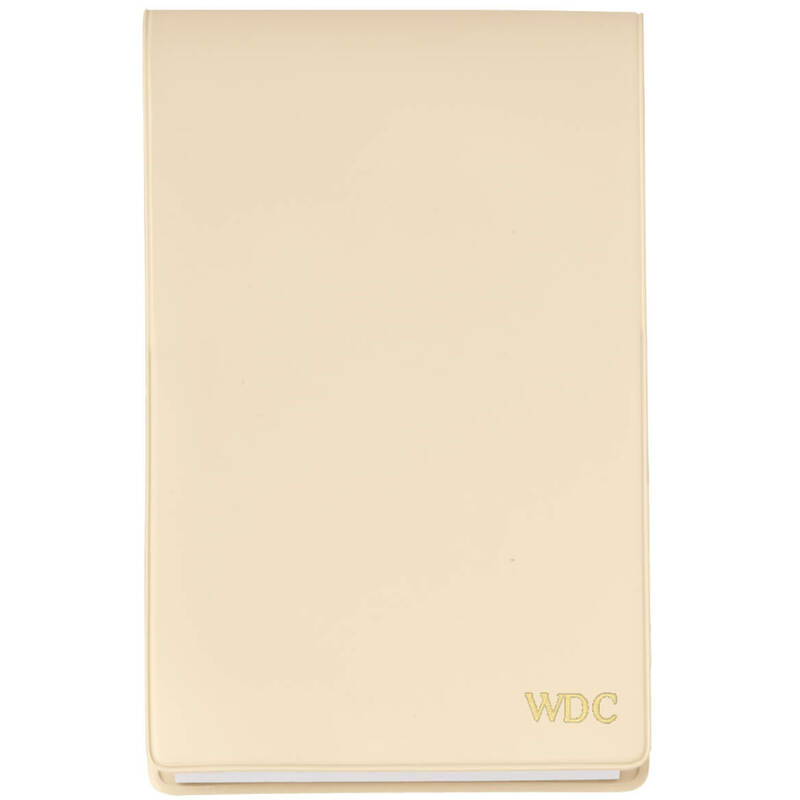 The jotter pad is 3 1/2"W x 6"H. We hope this information will be of help to you. Do you sell refills for the Jotter Pad?